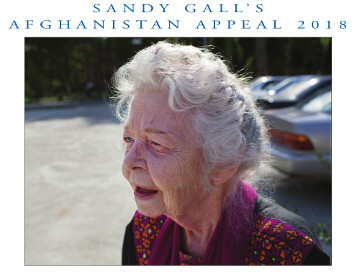 Sandy Gall, the British broadcaster and journalist, set up his Appeal in 1983, a year after he made his first television documentary about the resistance of the people of Afghanistan to the Russian invasion. He saw many casualties from bombing and landmines, and witnessed the suffering of the civilian population, many of whom were forced to take refuge in neighbouring countries. In 1986 the organisation acquired charitable status and the first expatriate prosthetist/orthotist (maker of artificial limbs) went out to work in a hospital in Peshawar, capital of the North-west Frontier Province of Pakistan, to work alongside the local Pakistani technicians. SGAA's first aim was to provide high quality artificial prostheses (artificial limbs) for amputees who had suffered in the war and to train Pakistani and Afghan technicians to make them. It became clear as soon as the first physiotherapist arrived to join the team in 1987 that there was also a huge need for orthotics (callipers) to deal with the wide range of disabilities, with polio being a huge problem in Pakistan amongst the Pakistani children and the Afghan refugees. An outreach physiotherapy programme was set up with Pakistan Red Crescent and SGAA physiotherapists held clinics in refugee camps in North West Frontier Province alongside the doctors and nurses of Pakistan Red Crescent. Children in the camps were referred to Peshawar for further physiotherapy and orthoses (splints and walking aids). In 1989 SGAA moved into a purpose-built rehabilitation centre in Hayatabad, Peshawar in order to focus on training Afghan technicians and Afghan where we could treat more patients and expand the training of technical staff. 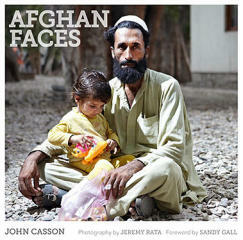 Patients came from all over Afghanistan often travelling for days. In 1991 and 1992, despite the continuation of the war, SGAA set up two satellite workshops, in Wardak and the Panjshir Valley in Afghanistan with the first orthopaedic technicians to graduate from our training programmes. Between 1993 and 1996 SGAA transferred all its workshops and training programmes inside Afghanistan in order to be more accessible to the returning refugees and to treat the many disabled people inside the country. SGAA opened a workshop in the military hospital in Kabul in 1996 just before the Taliban occupied the city. It was extremely difficult working in the military hospital, particularly for the female staff, and in 1998 SGAA handed over services in Kabul to the government and concentrated on its activities in Jalalabad. In 2002 SGAA was asked to go back to the military hospital in Kabul to support the workshop and remaining staff who were still working there. In 2005 the staff of the workshop formed an independent Afghan NGO called Kabul Orthopaedic Organisation (KOO).